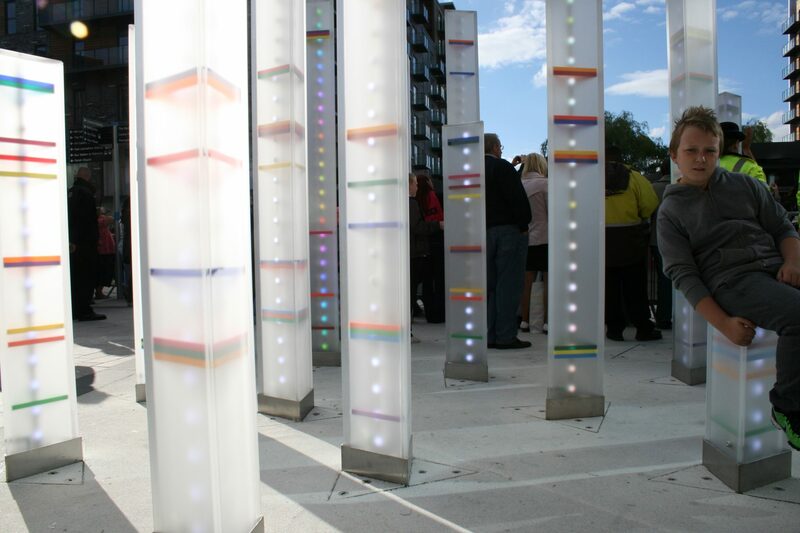 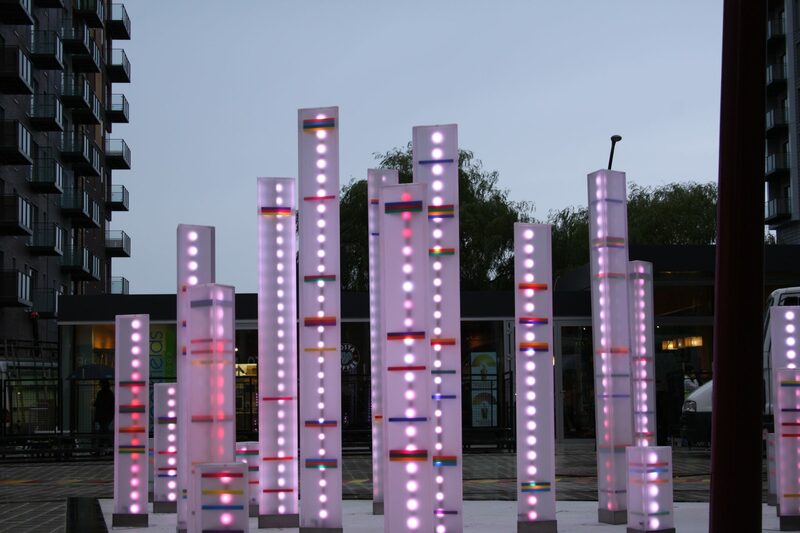 We worked with lighting designer Adam Spinos from Look4deas to create this public art installation. 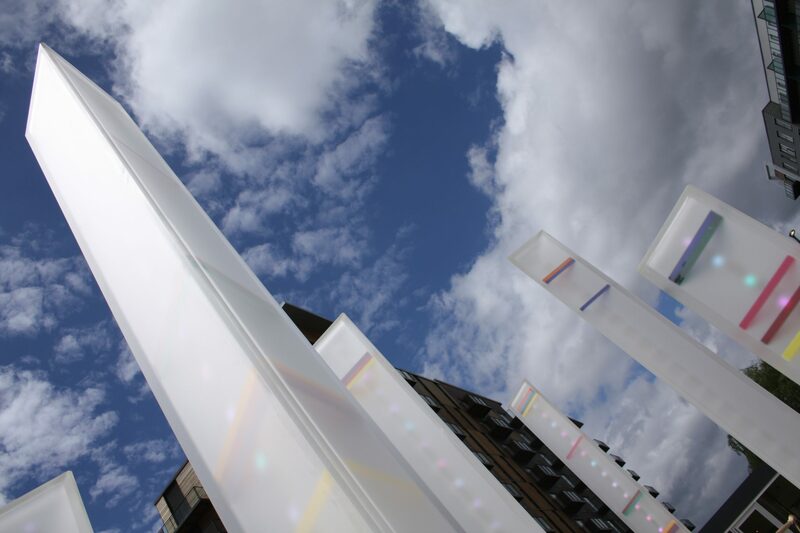 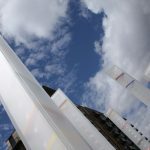 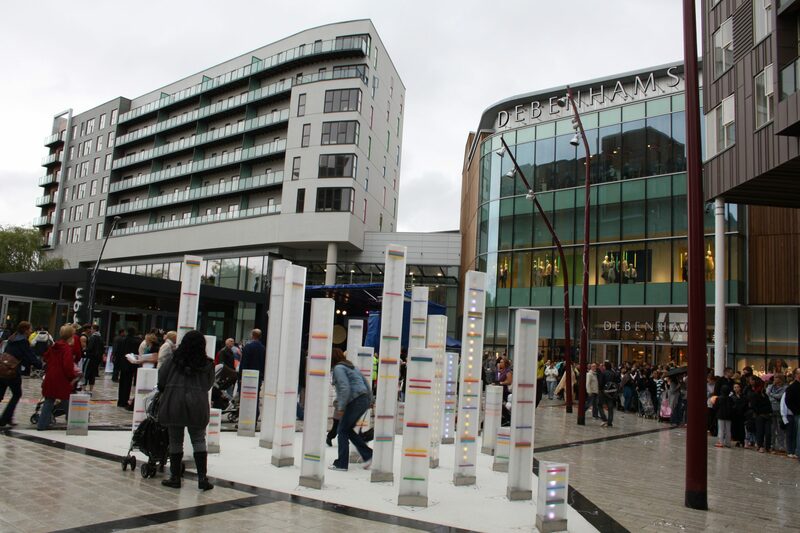 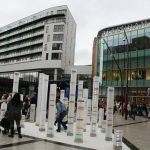 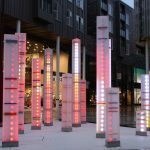 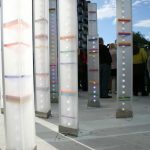 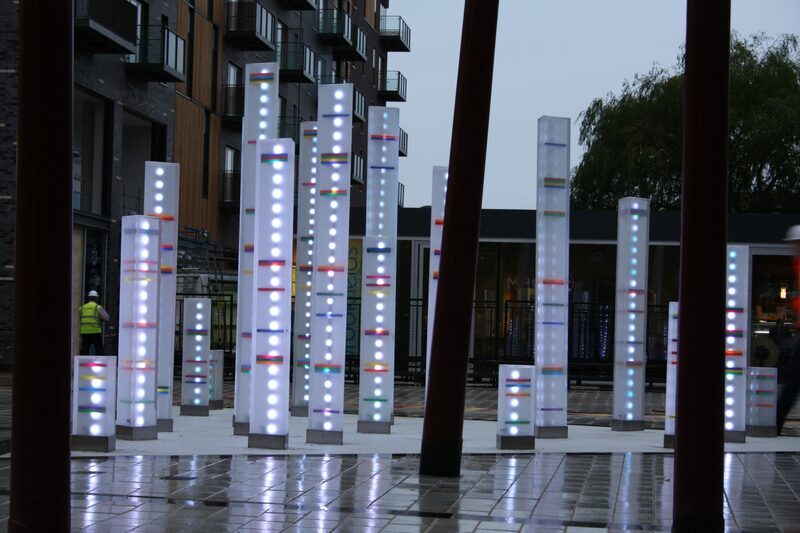 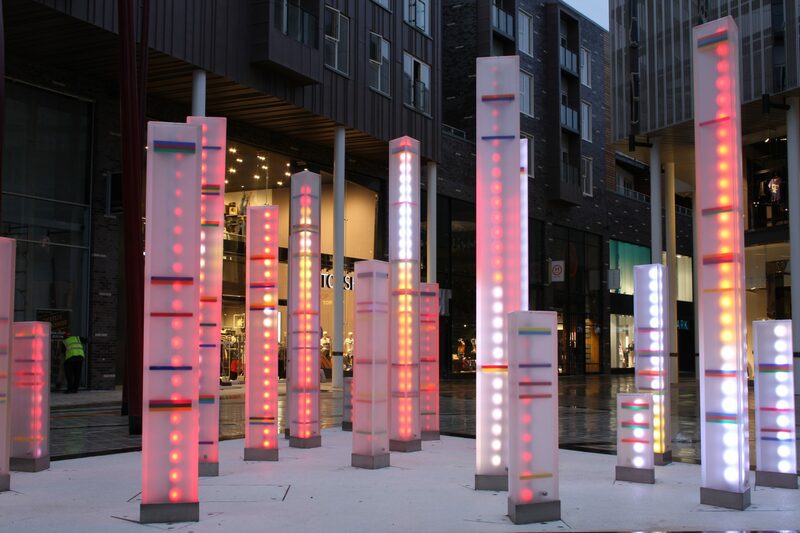 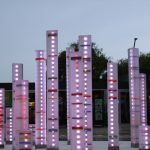 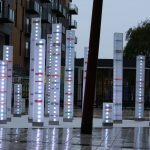 As part of an inner city urban regeneration project in Bury town centre, funds were allocated to create this interactive feature that allowed the public to determine the sequence of led lighting. 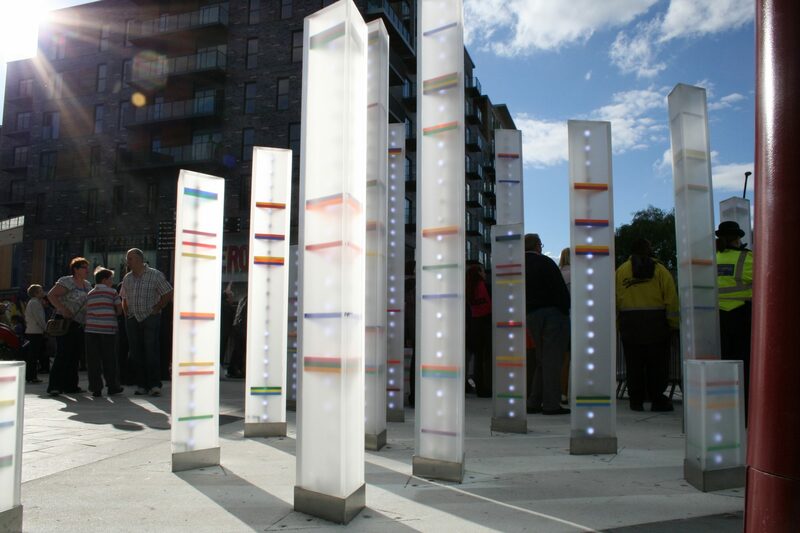 We used 20mm opal frost from Perspex and invisibly cemented the three sided unit together. 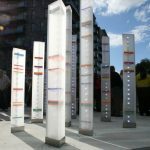 All the corners we rounded to prevent the public from injuring themselves and the units firmly fixed into steel supports that were cemented and chemi fixed to the ground. 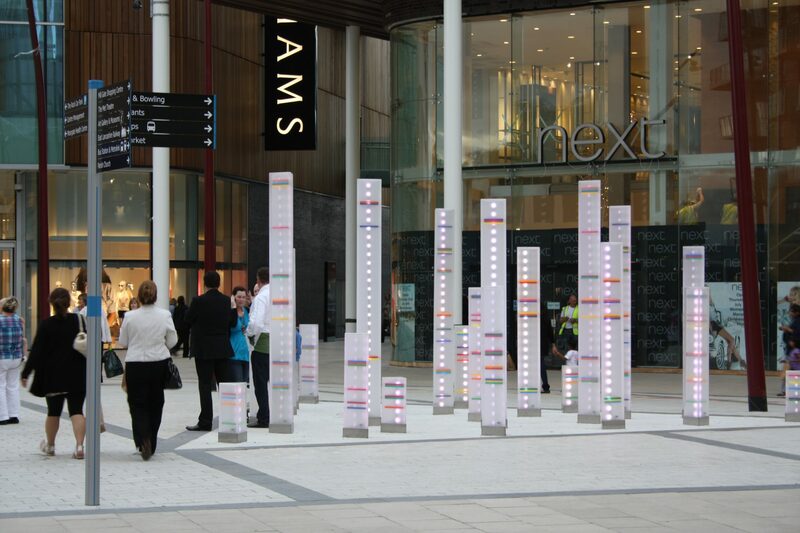 Our expertise and knowledge of the materials were instrumental to the success of this project. 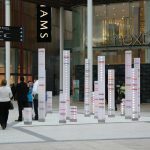 We trialled prototype units to get the correct construction and lighting intensity and were contracted to install the finished totems.